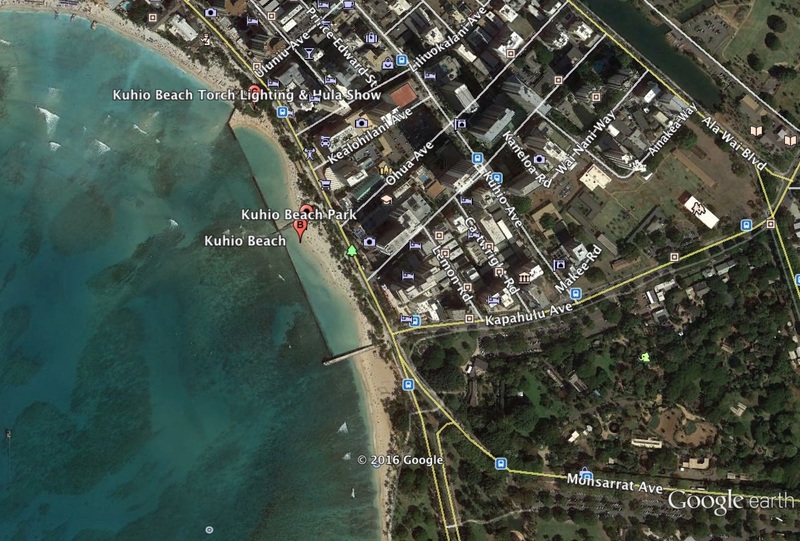 As the Google Earth image shows, Hawaii’s Waikiki Beach Pool is a large protected swimming area off Oahu’s Kuhio Beach Park. 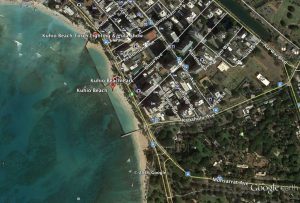 Its two nearly enclosed pools are the happy outcome of efforts to control beach erosion in the 1950s by creating the Kapahulu Groyne and the low rock walls that run perpendicular to the groyne and parallel to the beach. Unlike the nearby and long-closed Waikiki War Memorial Natatorium, this is not a formal pool designed to cater for competitive swimming. Pools that do fit our definition of an ocean pool are rare in the United States of America, but Hawaii and California do host some ocean pools. Know of other USA ocean pools? If you know of other ocean pools in the United States that should be added to our list, please contact All into Ocean Pools Inc. The Waikiki War Memorial Natatorium adjoins Kaimana Beach. 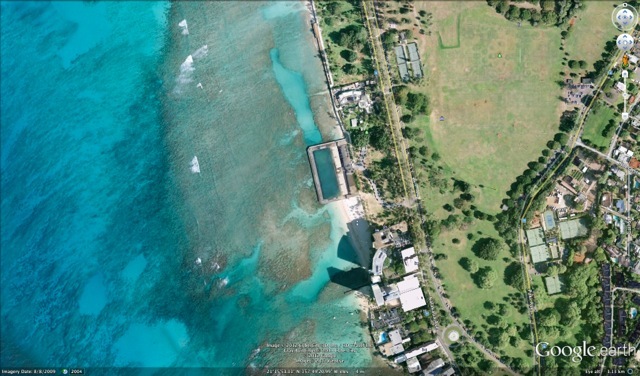 Its 100-metre by 40-metre tidal saltwater pool has been closed since 1979 on safety grounds.